Hello again, backloggers and bundle fans. 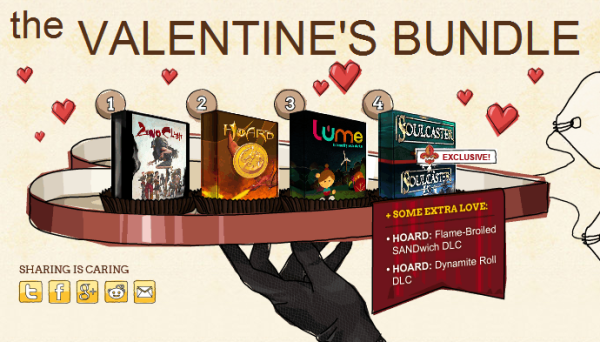 Here we are with Indie Royale's monthly big release: the Indie Royale Valentines Bundle. Honestly, I have to say this is one of the better bundles to come in a long time. There's quite an excellent selection of games, including a world premiere on PC, an IGF nominee, a very eccentric first person adventure and a cool arcade game about dragons. So let's get right to it! Skip past the break for my lovely reviews. Zeno Clash is weird. If I ever needed to review the game in four words and a number or less, I would have to go with "Half Life 2 on acid" and be done with it. I was even ready to dismiss the game right away; my dislike of non-Valve Source games has been well documented on my own blog before and I was expecting just another product that feels too much like a mod. Boy was I ever mistaken. 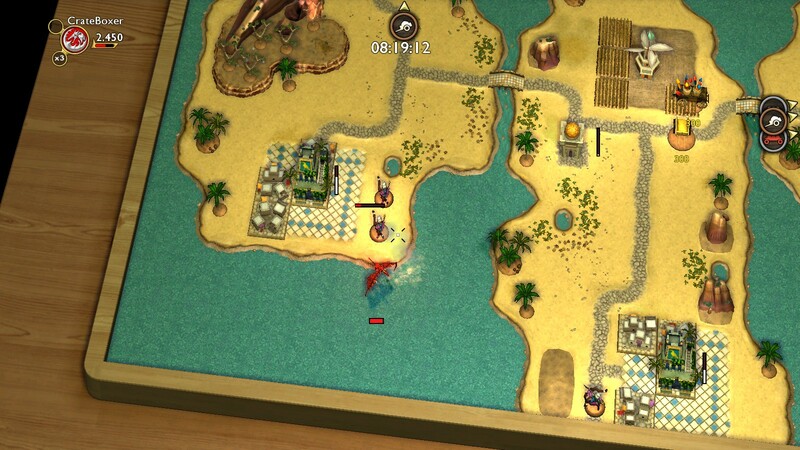 Zeno Clash might run on the Source engine, but it's about as far from a traditional Source shooter as possible. Zeno Clash is the first game from ACE Team, the fellows behind the delightful Rock of Ages, and it's a first person punching... thingy. Sure there are weapons and you can occasionally play the game as a regular old first person shooter, but sooner or later you'll get a stout headbutt, drop your piece and find yourself relying on your two best friends Law and Order. Righty and Mr. Lefts. Pride and Prejudice. Shock and Awe. I think I could do this all day, but I'll save you the anguish. 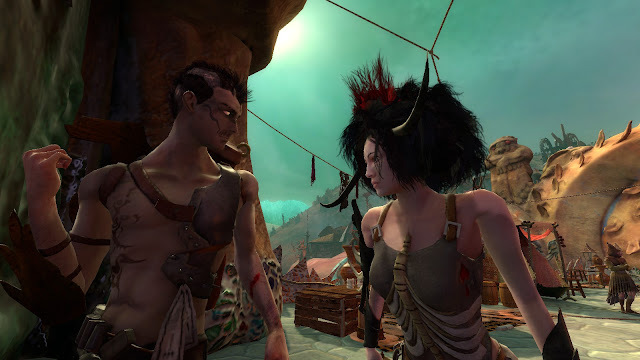 Anyway, the name of the combat game is punching, and it's incredibly fluid and surprisingly intuitive. You lock on to your enemy with the E key, and then let loose your fists of fury. You can dodge, block, charge forward, throw a haymaker or anything else using a combination of movement and attack keys. Moving the mouse can help you glance other enemies, which can be swapped to with the tap of a key. Combat basically revolves around knocking down enemies to keep them out of your hair, and then swapping to a new target while they recover. It's really fantastic, and I was quite surprised about how well the melee combat is pulled off. First person melee games like Skyrim should be taking serious notes. But right, I mentioned acid and I mean it. The setting is Dali levels of nuttiness, with grotesque creatures and surreal architecture. The weapons are all based on real world analogues, but completely redesigned in the most bizarre way possible to suit the primitive world. To make sure you don't have a single leg to stand on, the game makes sure to throw you immediately in the deep end in terms of plot and backstory. But the presentation is very professional, with the traditional Source focus on great character models and fluid physics, plus fairly decent voice acting to boot. It sure does leave an impression as one of the most unique settings featured in a game ever. If you can get past the initial weirdness you'll find a game with excellent combat under the endearing surrealism. To paraphrase the official site, Hoard is a game about dragons. Ok, fine, I'll expand. In Hoard, you play as one of up to four dragons, all plotting to expand their hoard. 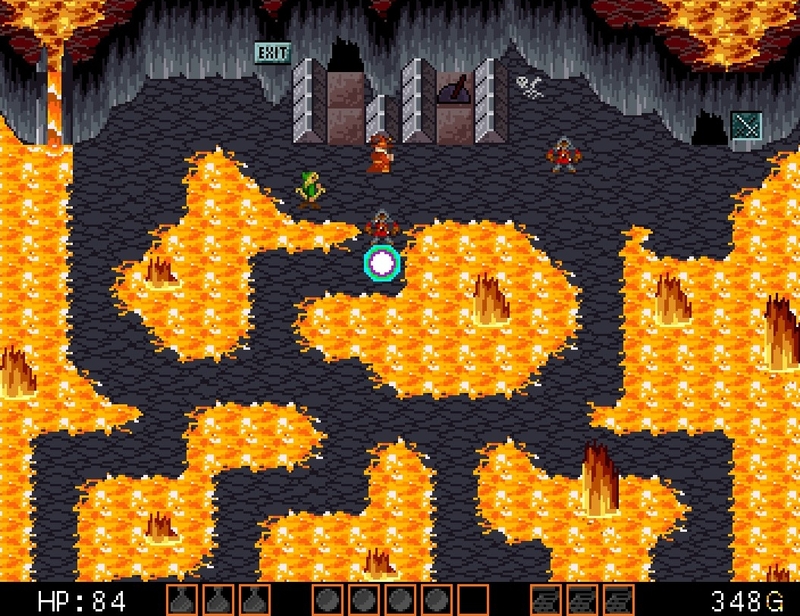 As any good D&D player could tell you, dragons are notoriously territorial, and luckily Big Sandwich Games was around to capitalize on that territorial model for an arcade style video game. While there's no particular campaign mode, there are quite a few maps packed into Hoard, with even more from the DLC (thankfully included in the Indie Royale as well). Your goal for each map is to hit the target score and earn a gold medal by any means you see fit. Each map is loaded with farms, cities, castles, trade routes and various other bits of medieval settings to do whatever you wish to. There are plenty of enemies running about as well; not only do you have to contend with your dragon rivals, but thieves, knights and archers will try to ruin your day. If you want a nice little bonus, you can intercept and capture princesses too. Ever wonder why dragons loved princesses? Apparently they convert to a hefty gold bonus after five seconds. Who knew? Obviously burning down stuff gets you a little bit of gold, but you know what's cool? A lot of gold. There are other approaches; terrorizing a village enough will force the village under your fearful influence, which causes them to send tributes and assist you in battle. Burning down a farm right away will get you a chuck of change, but letting them send grain to towns will make them become riper targets faster. It's a very simple system to learn (burn everything) but Hoard is fairly deep for an arcade game. There's a few little things wrong with the game, but nothing major. The main menu highly recommends using an Xbox 360 controller, and I'll second that. Like most twin stick shooters, Hoard works best with two analogue sticks and not as well on your regular keyboard mouse set-up. Secondly, the game is sadly lacking local play. You can play online, but there's no method for a split screen set-up. I'm guessing it's because some of the maps are too big to show all at once, but this game is just begging for local support. Finally, the game could have really used some kind of campaign or single player mission structure. Going for gold medals is nice and all, but a fleshed out single player component could have really improved things. As it stands Hoard works well as a pick up and play casual title for a few rounds at a time, cause it's a great mix of arcade and strategy. There's enough different methods and tactics to keep you engaged and on your toes, and there's a fair amount of maps to sift through. I never would of thought a dragon's migratory patterns would fit in an arcade game, but I'm glad I was pleasantly proven wrong. Let's set aside game mechanics for a bit and talk about aesthetics. Lume is beautiful. There's no other real word for the art style. It's a very creative use of real world dioramas built out of craft materials that transition via handheld camera movements overlaid with felt patterned polygons that make up the main character of Lumi. It's incredibly unique and looks really awesome in action. Even the puzzle screens appear unique and well crafted, leading to a gorgeous experience. The game was nominated for an IGF award in art style, and it's well deserved. Lume is downright whimsical. Don't worry though, the game behind the prettiness is pretty good too. It's your basic point and click adventure, except it's a little more skewed towards puzzles and less towards trying everything at random. 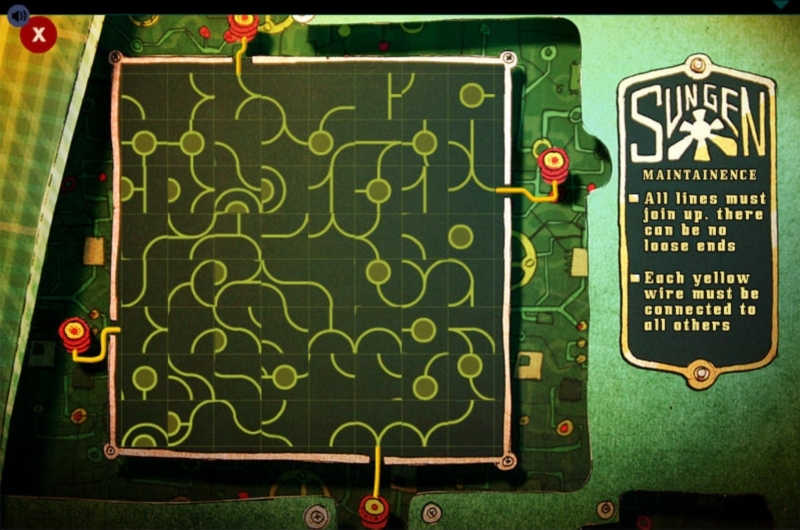 There are plenty of instances of the game shifting to a close up on the object you click on, leading to some kind of logic puzzle in a slightly Laytonesque fashion. But on the flip side, there are still lots of traditional adventure puzzles that involve clever scanning of the environment. This is just personal bias, but I skew towards heavily story based adventures in the Broken Sword vein, like the previous featured Gemini Rue or the Blackwell series. The story in Lume is far more minimal and mysterious, but it's a decision that works. There's just enough of a story to hook you into the mysterious world of your granddad's house. 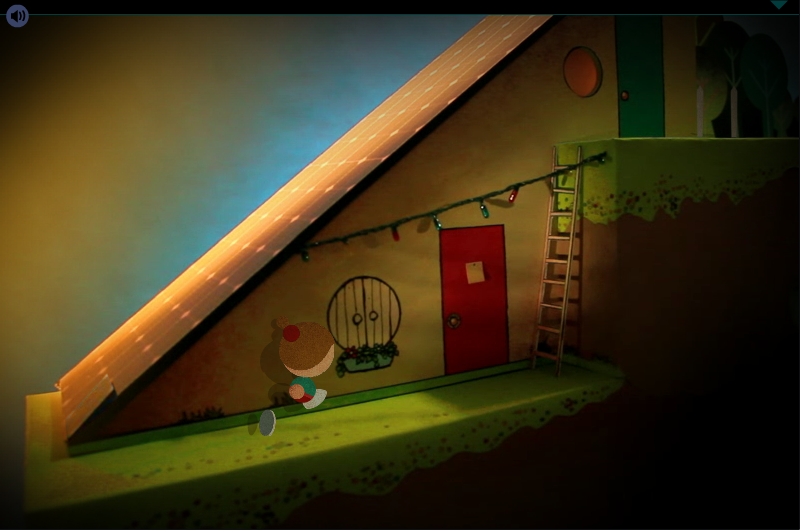 You control Lumi, a small girl trying to solve the puzzles left by her granddad and restore power to the house. There's just enough intrigue and clues left behind to keep up your motivation, making for an excellent minimalist story. Lume isn't too challenging either; there are a few real stumpers that require a bit of thought and brainstorming, but it's nothing impossible to cope with either. So in the end Lume is a traditionalist point and click adventure with a very impressive and beautiful presentation that separates it from the pack. If you're a logic puzzle fan, this is indeed the game for you. Even if you're not, the visuals are really fantastic to see in action, and you may find yourself surprised and engaged. MagicalTimeBean has been getting a lot of accolades for XBLIG hit Escape Goat (speaking of which, let's get a PC version of that, Indie Royale), but they have a few other titles under their belt. Soulcaster is the illustrious world PC premiere in this package making its way over from the wild wild west that is Xbox Live Indie Games, and let me just say that I'm glad it made it. The game is a neat fusion of dungeon crawling bits, roguelike elements and tower defence with cool retro graphics and a very good soundtrack. You are a wizard, but not just a regular wizard: you're a Soulcaster! Your wizard comes across the spirits of three long dead adventurers, and using your magic you can summon copies of them to protect yourself from the hordes of undead. In layman's terms, you run around the map with a limited number of available units (up to five) and try to keep the enemies from attacking you by blocking off chokepoints and setting up defensive perimeters. There are three adventurers, each with their role along with a slew of pros and cons. You have the archer, who fires in a straight line and does the most damage, the warrior, who does low damage but can be used to block hallways, and the bomber, who does area damage but is weaker overall. It's probably a good thing there are only three units, because each one has a ton of conditional elements and weaknesses. The archer cannot fire over obstacles and allies, the warrior dies very quickly when surrounded and the bomber explodes on death, damaging enemies and allies alike. Add in a bunch of colour coded enemies that can counter your units, and you have a simple to learn but deeply sophisticated basis for gameplay. 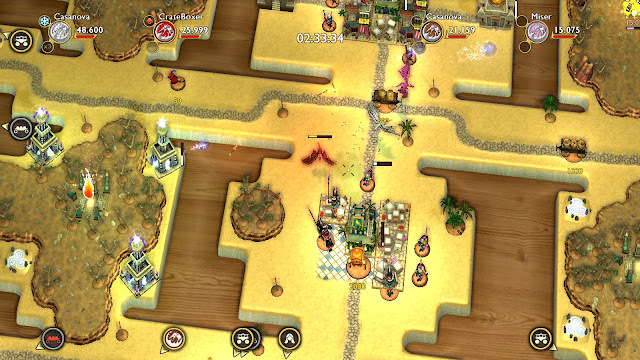 Each level is littered with enemy spawns and obvious choke points, but the game requires you to think on your toes. 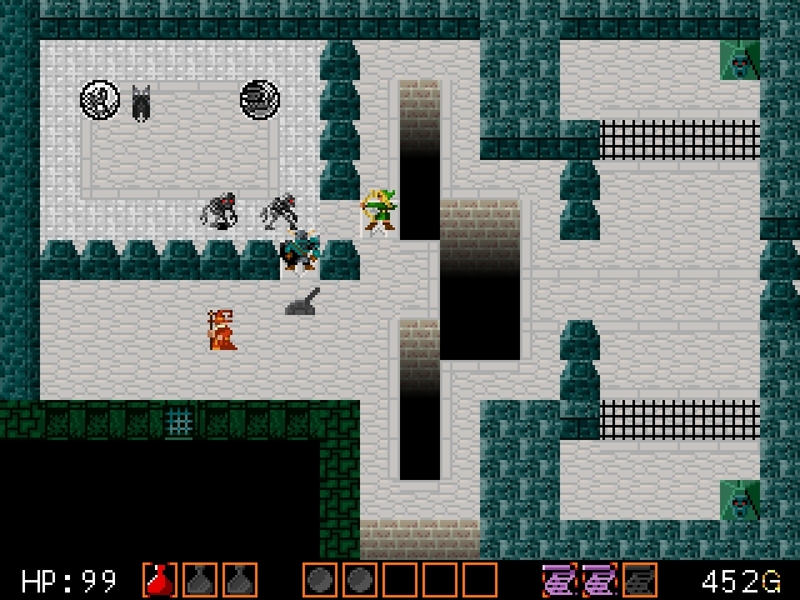 Enemies will often ambush you, and occasionally the entire level conspires against you by shifting the layout (this is much more prominent in part 2, but still shows up in the first game). You'll definitely have to rework your layout on the fly, returning your souls and replacing them as needed to keep from being attacked. Your copies can also be attacked, but on death they simply return to your pool after a nominal delay. It's hectic and chaotic, and the best laid plans often go awry leading to tense moments when you attempt to regain control. 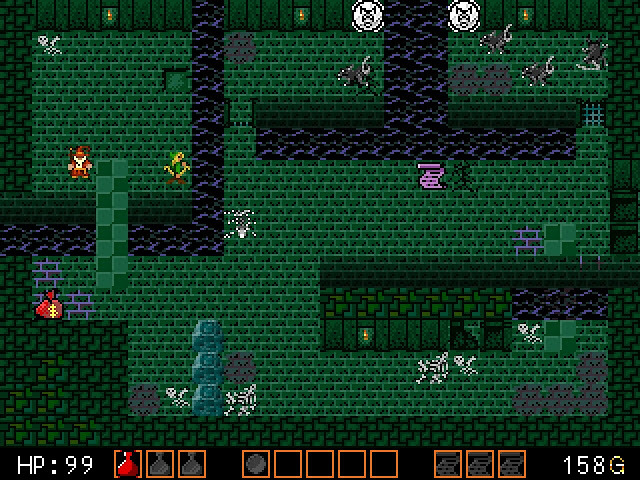 Also mixed into the level is various potions and emergency AOE scrolls, as well as bags of gold and a merchant who levels up your dead adventurers' gear and also really seems to be into powermetal. It's a really unique style of gameplay, and I have to say I have not seen anything similar before so major credit is due to MagicalTimeBean. The only minor complaint I have is the lack of control over the order your summons are recalled; often I would want to replace my archer with a bomber, but pressing the R key recalls my first summon, which is the warrior standing between me and the horde of undead rodents eyeing my brains like an overripe lump of gouda. You can usually overcome this limitation by planning the order you summon your fellows in, but some kind of control over recalling your dead pals would have made things a little easier to manage. Soulcaster II is also included in the Royale, so I should touch on that. It's not a lot different from the first title, to be honest, with new enemies, new locales, new levels and tweaked graphics. The engine is mostly the same on the surface, but the level design is even more devious and tricksy in terms of ambushes. Essentially it's a part two of the same game, but it adds a lot of extra maps to extend the fun. Genuinely unique mechanics, cool retro graphics and tons of tricky maps to get through. It's a great title, and I would probably say my pick for highlight of the bundle. Don't ignore it just because it's not on Steam, folks. It's quite a gem. That's it for my quick reviews this time, so if you're keen on picking up your own Indie Royale you have just a few more days to do it. Also, I'll be spreading the love on my Twitter feed with another giveaway courtesy of the folks behind Indie Royale. Stay posted, readers. Great reviews your doing for these bundles. I tend to buy straight away as they are surely worth the price, unless you own the games already. If I was in two minds, your reviews would certainly help.